Why Millennials May Be Thinking of Leaving Your Company Do We Need a National Policy on Cybersecurity? From CEOs to Chief HR officers to line managers, a continual challenge exists: How to increase productivity. Depending on the industry, small strategy shifts can deliver significant differences. For example, the most productive retail salesperson has b​een found to sell 8 times as many clothes as the average salesperson, and the most productive fishmonger cuts fishes 3 times as fast as the average one. So what can drive productivity differences within competing businesses? A recent Harvard Business Review pinpointed seven ways in which the most productive people act differently than people of average productivity. Deadlines always shift, and crises always arrive. However, most employees don’t reach peak productivity simply by putting on a burst of speed toward a goal. The most productive folks work consistently, without huge peaks in effort. Knowledge and expertise matter to productivity. New employees — or those who have been shifted to new functions — simply aren’t as fast as people who have already completed the curve or have five years or more of experience. Obviously, this presents a tradeoff — and defines a strategy — around when and how to bring in new employees: Not when peak productivity is on the line. The HBR researchers found that people who are highly productive want to see results more quickly than others. They have competitive natures. They love to reduce their to-do lists to smoking, marked-through rubble. Wanting to see results is a chief component of productivity. Senior leader are responsible for identifying problems before they occur. 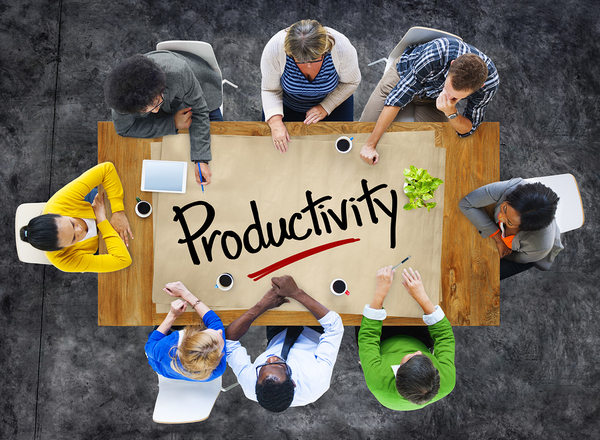 Productivity increases when employees can augment that process. Create strategies to empower line workers take action to solve them before they become deal breakers. Productive people don’t wait to start or do something. They see what needs to be done to move a project along or complete it, and they do it. If this means asking for forgiveness rather than permission, so be it. If the first six productivity traits seem very individualistic, they don’t play out that way. No one can be highly productive in a vacuum. Collaboration is part of good business leadership. Productive people may be competitive, but working happily with teams and exhibiting good teamwork is a must.